We are excited to bring you the first edition of the NH Children's Behavioral Health Collaborative (CBHC) newsletter! In recent months, the CBHC has grown and undertaken exciting work all across our state. Our goal is to provide you with periodic updates on our policy and community engagement work. As a collaborative of over 70 organizations, we would like to highlight and share some of the important work you are doing in your communities and around the state on behalf of children's behavioral health. The CBHC celebrates its accomplishments, but is focused on the future. 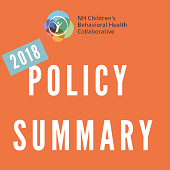 This year, the Collaborative will partner with NAMI NH to further engage youth and families, expand the CBHC reach throughout New Hampshire, strengthen existing ties within the Collaborative, and advance new policy directions. This fall, the CBHC will host the first annual CBHC symposium, Looking Back and Moving Forward. 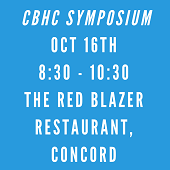 It's an opportunity to hear about the work we're doing and network with other CBHC members - and enjoy a free hot breakfast. Middle & high schoolers are invited to submit 2-minute films or creative writing pieces about mental health issues. 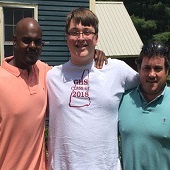 Magnify your voice, raise awareness, and help other young people across NH. On September 29th, you have the opportunity to learn to use your voice to advocate for children's behavioral health in the Granite State. The training will include an emphasis on specific advocacy skill-building and learning how best to communicate with NH lawmakers. In light of recent conversations, both nationally and in New Hampshire, the CBHC has spent recent months ensuring that any discussion on school safety in our state includes a focus on children's mental health. Recently, the Governor's School Safety preparedness task force came out with a report outlining recommendations on making New Hampshire's schools the safest in the nation. That report included important recommendations to support children's behavioral health. In this opinion piece, Becky Whitley, Barrett Christina, and Carl M. Ladd discuss the need to address children's behavioral health concerns to ensure safe and successful schools. From a young person's perspective, promoting a positive school climate and increasing awareness of mental health issues in children and adolescents is crucial, as highlighted in this letter to the editor by Sophia Greabe, high school senior and CBHC intern. The CBHC advocates for legislation to support a system of care for children with mental health and substance use disorders. As part of that work, CBHC members and partners have been participating in workgroups discussing the state's 10 year mental health plan. That plan, which will include goals related to children's mental health, is due in October. Due to the collaborative policy work of many partners, this summer saw an impressive expansion of the FAST Forward program, which keeps children with behavioral health concerns in their own homes and communities and paves the way for high fidelity wraparound services for NH children with the most intensive behavioral health needs. Last month, an amendment was approved for NH's Medicaid plan that allows the public insurance program to cover the kind of non-clinical services that makes FAST Forward successful. This summer, the CBHC is working with our partners across the state to develop our policy priorities for the upcoming session. For more information on what's going on at the State House, contact Becky Whitley at rwhitley@new-futures.org. During the 2018 legislative session, the CBHC advocated for legislation to support Granite State kids and a system of care. We put together a summary of our 2018 policy priorities. Spaulding Youth Center (SYC) has served children and families from a variety of backgrounds with an array of needs for almost 150 years. SYC's mission is to support exceptional children and families towards a successful future. 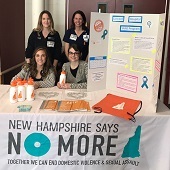 NHCADSV works collaboratively with many local, state, and federal organizations to further a common goal of ending domestic and sexual violence. Reality Check provides NH with comprehensive addiction services and helps build the addiction workforce in NH. They also guide school districts & communities in prevention plan development & implementation. Click on the event links for more information. Contact Dellie Champagne at dchampagne@new-futures.org to have your event listed in a future newsletter. The CBHC is a collaborative of organizations working to improve the children's behavioral health system in NH. Check out this list of current collaborative members. For more information or to become a member yourself, contact Dellie Champagne at dchampagne@new-futures.org.